Denmark and jazz have a long standing and continued relationship and that extends beyond the annual and truly excellent Copenhagen Jazz Festival. Some of the all-time greats have recorded there at the prestigious open air Tivoli Gardens in the capital including during the 1960s Roland Kirk, Lennie Tristano and Sarah Vaughan to name but three. Indeed, Dexter Gordon had a regular club residency when he lived in the city at the Jazzhus Montmartre. What do we actually know of Danish jazz musicians, though? A few names have become internationally renowned such as bassist Niels Henning Orsted Pedersen who regularly performed alongside Oscar Peterson, and more recently London-based bassist and Jasper Høiby has come to prominence as leader of Phronesis, and various other formations besides. 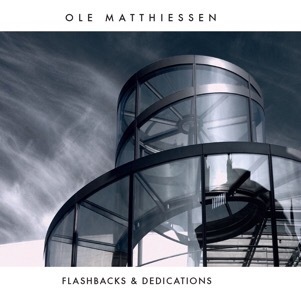 However, pianist Ole Matthiessen is far less known outside of his native country and Scandinavia more generally, but has recorded a series of different themed and stylistically diverse albums for the indie Stunt label out of Copenhagen, but now distributed in the UK. He is a multi-talented individual who is now in his late sixties, but has played piano since 1963 and, as a producer of the Danish Radio Big Band, has performed live with the greats and that includes Miles Davis, Charles Mingus and Ben Webster. These days he can regularly be found behind the counter at one of Copenhagen’s remaining jazz record and CD specialist shops, Jazz Cup, that also has a small space for live jazz. Not one to rest on his laurels, Matthiessen finds time in between these various activities to be a record producer, DJ and lecturer, and has produced the Danish Radio Big Band for some thirty-seven years. This latest recording, the fourth in total on the Stunt label, is devoted to modal jazz and in particular pays homage to the second half of the career of John Coltrane and it proves to be a revelatory listening experience. In outlook, one might add that it draws heavily upon the early 1980s sound of Pharoah Sanders while recording on the Theresa label. Matthiessen has enlisted a long-time collaborator in drummer Ole Streenburg who turned seventy last July, but propels the rhythm section with some Elvin Jones influenced polyrhythms, most notably on ‘Drummer’s mare’ and ‘Voodoo dance’, which is a favourite piece of this writer. Both seasoned musicians cut their musical teeth in the legendary 1960s Danish band, Carsten Meinert Kvartet. They recorded in 1969 what is probably the original version of ‘To Trane’ which is reprised here and is fine tribute to the iconic and highly influential reedman. Expat Bob Rockwell operates on tenor saxophone with a sound that is not without recalling Booker Ervin and is both a leader in his own right and a fellow stalwart of the live Copenhagen music scene. Underpinning the quartet sound is the solid and inventive bass playing of Jesper Lundgaard. Stunt is a label that you will be reading a good deal more about this year. A definite discovery of an album, musicians and it is heartening to know that the jazz scene in Denmark is in surprisingly good health, though like everywhere else, its continued survival is dependent on the creativity, hard work and dedication of aficionados. For that we should be grateful and fully supportive.